I previously blogged about the critical role of psychological safety in culture. 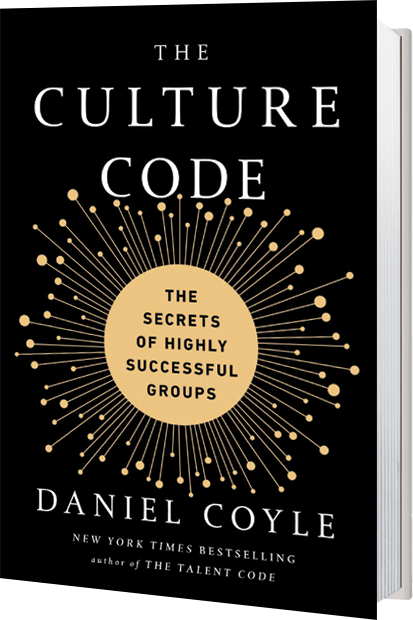 Today, I want to discuss some of the other important elements of culture that Daniel Coyle’s Culture Code identified – humility and vulnerability of leaders, purpose, connection and community. Jim Collins, the famous leadership expert, described leaders of companies that went from Good to Great as being level 5. By this, he meant that these people were servant-leaders, worried more about their organization’s success than their own fame and egos. They were often on the learning journey with their teams and connected deeply with their purpose. Coyle calls this quality humility/vulnerability. Along with a culture of safety, this attribute allows people in organizations to be authentic and curious. How many leaders ask questions instead of making statements? Leaders expressing humility and vulnerability are willing to be curious, to look at problems with open eyes, and to promote solutions suggested by anyone in the organization. We see this in many problem-solving exercises, where children are often much more creative than adults. They work together, they are curious, they adapt quickly and they don’t care who gets credit. Children and leaders with humility naturally act like they’re playing scramble golf, where teams of people play each subsequent ball from the position of the best shot of any team member. To do this, the teams need to know which hole they are playing and be playing the same holes at the same time. Solving the problems and creating a culture of creativity are their primary goals. We should all strive to have the curiosity, openness, joy and creativity of children - we will be happier, and our organizations will be healthier and better. Purpose is another critical factor of great culture. Simon Sinek, the leadership guru identified this in his famous TED Talk, The Golden Circle. I have blogged that purpose is the aligning principle of complexity or entropy that occurs in growing organizations. Purpose gives direction and destination to organizations. Purpose organizes institutional energy and if it connects with the passion of the team, will grab the hearts of those involved. I would add that doing the right things for the right reasons to purpose that serves humanity is an approach I have found personally to be very powerful and satisfying. Great purpose creates the organization’s direction. The leader’s humility and personal values create his or her true north and the bedrock principles of the organization evolve from this. The last feature I will discuss is connection and community. Many less successful organizations focus on business metrics, profit margins and use workers as cogs in a big machine. There is a lack of truly seeing the real person doing the job and thus, people become organizational tools to address a variety of problems. Real community is powerful and sets the norms for the organization, sets the rules that govern support, openness and truth telling. It is the glue that cements longevity and tells the stories of the place. Safety, servant leadership, purpose and connectedness begin the journey to address audacious problems and create a competitive advantage for the institution. Not only is this a recipe for success, it is a recipe for fulfillment and joy. Being on a wonderful adventure with your friends, exploring, discovering, learning, growing and helping humanity.